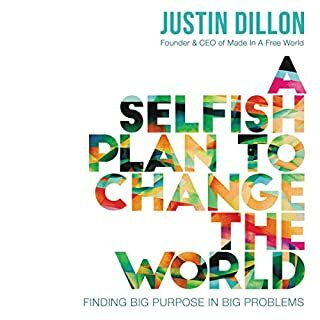 This book is essential for changing the world for the better, however I felt some things were missing. There is a strong focus on education in this book but little mention of feeding and clothing those children, which is a strong precursor to them being able to learn in school (as per the mention of the hierarchy of needs). Many over dramatized, and overly sentimental elements take away from the writer's appeal to our practical senses. Juvenile's rap is discordant with the rest of the factual accounts and his comparison to Jay z, who's musical arsenal talks widely about hoes and bling, is poorly thought out at best. I'm also pretty sure the boy at the end was excited more about having and giving out snacks than freeing children, but that's my assumption. As Justin says these problems are not simple and in some cases removing these children from factories and labor puts them in other, sometimes more dangerous, situations. Those who think critically about these issues need these things to be part of the discussion. I would love to see the next edition come with a few edits. 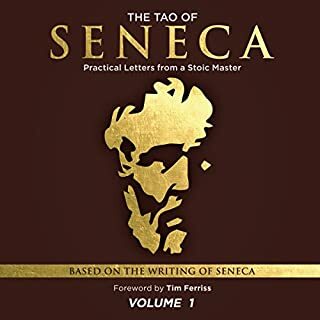 What did you love best about The Tao of Seneca? The narrator has a great voice, and the content is superb. How much content there is! What does John A. Robinson bring to the story that you wouldn’t experience if you just read the book? A classic feel as though Seneca were speaking to me. Remaining calm and focused despite what life might throw towards me. Stoicism promotes a great mindset to thrive in this crazy world. People have complained about sound issues, and my download totally had them. However, it's very brief and I could still understand John. I'll be getting the other two volumes for sure.